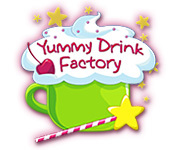 Yummy Drink Factory is rated 4.8 out of 5 by 18. Rated 5 out of 5 by Ruckus777 from Fun, Addicting Game! 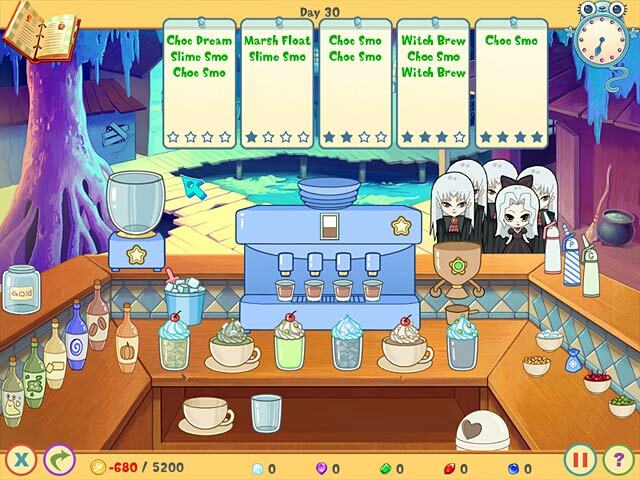 This game quenched my thirst for a delicious time management game! The customer character designs are adorable, music is delightful, and overall graphic quality is charming. The gameplay itself is incredibly addicting and fun. It's cool to get in a groove as you set up and prepare the delicious-sounding drinks, then give them to the cute customers who always say "hello!" when they arrive, then "coffee!" when they leave. 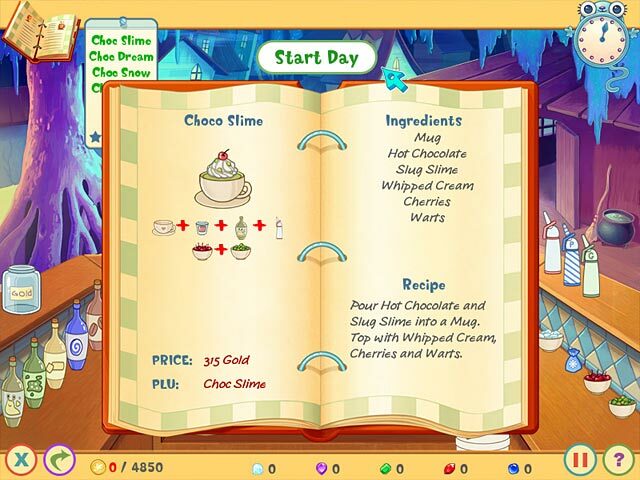 The amount of recipes would increase as the levels went on, but with enough planning it was a healthy challenge. I felt immersed in the game for the entirety of the demo. Overall a charming, enjoyable game that I can't recommend enough! Rated 5 out of 5 by bf_gamer from Favorite! I've had this game for a while and I can't even begin to guess how many times I've beaten it, it's one of my most favorite games! First, there are different difficulties to this game, which I love. Be warned, you have to have a good memory in order to beat this game but you can get wands to help you win. Towards the end of the game it gets crazy and you have to be super fast or else you'll get too many orders and you just cannot keep up. Rated 5 out of 5 by nittar from Really Fun! I wasn't too sure about the graphics shown on this game, but it was so much fun and exactly what I love in a game. Gets fairly challenging as you progress. Rated 5 out of 5 by georgeygirl08 from Upset I have a macbook and i really want a version to play this on my computer, I love the game but dont want to have to go to my parents to play it or buy a non mac just to play this game...please please make a mac version!!! Rated 5 out of 5 by TracyESA from One of the BEST I've played Big Fish games for many years, and this is by far my favorite game I've ever trialed and then purchased! I've played it through many times, it's well worth the money. I constantly check to see if there are any others like this, because I would buy them as well. Challenging and VERY fun! Rated 5 out of 5 by Lokya from Very addictive This is my favourite time management game. The memory factor adds a fun layer of difficulty on top of the time management factor and the quick start makes it extremely difficult to stay ahead of the game. Loads of fun, I would definitely recommend this to anybody looking for a good replayable game. Rated 5 out of 5 by AliceSanX from Yummy Fun Game! This game is cute and fun. Has fun sound effects. You memorize drink recipes. Earn tips to buy decorations for your shop. Machines upgrade as you play. The customers are so cute. Rated 5 out of 5 by adinastar from Fun!!! I love this game. Wish they'd make more of these types of games. The graphics and storyline are cute! 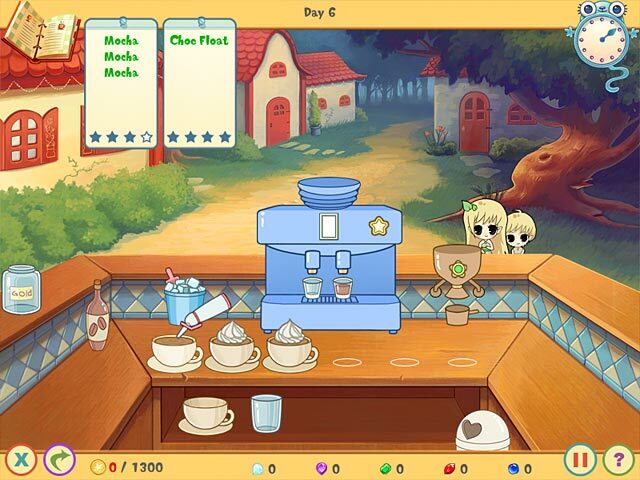 Rated 5 out of 5 by Milonar from Excellent Game I have played Yummy Drink Factory when I was very little (around fourteen), and now, I still love this game. The graphic is pretty cute, good-looking. There are many drink recipes to for you to remember, but they are not so difficult. You only need a quick hand and good memories! I suggest to spend your free time to play this game! You won't regret it!